In the field of minimally invasive surgery and specifically in pathway surgery – i.e. minimally invasive procedures carried out transluminally or through instrument-created pathways – spatial disorientation is a common experience to surgeons. 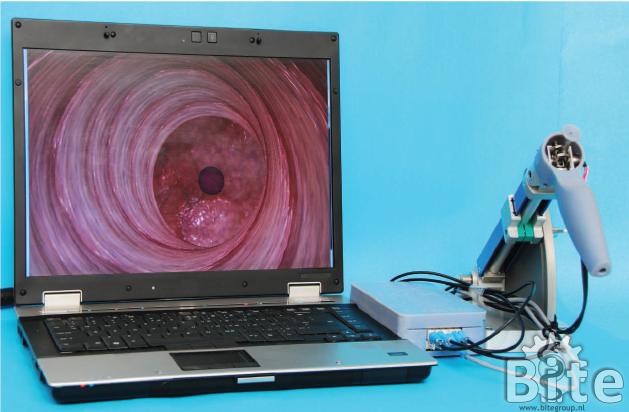 Our Endo-PaC (Endoscopic Path Controller) is a simulator designed to investigate human control behavior during path following tasks. 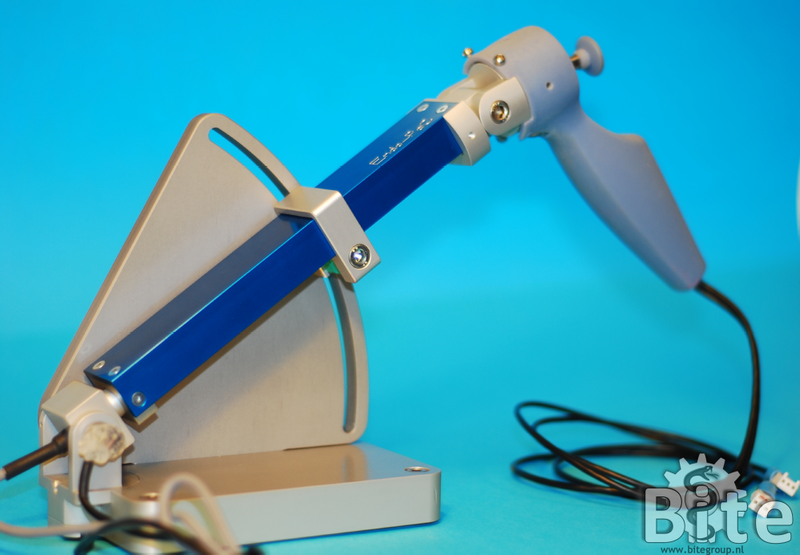 Emulating the shaft and handle of a maneuverable surgical instrument, Endo-PaC’s hardware controller consists of a base, an instrument shaft, and a handle with a joystick. The hardware controller contains five position sensors to measure the orientation of the shaft relative to the base, the translational displacement of the shaft, and the orientation of the joystick relative to the shaft. Instead of having a separate joystick, the handle can also be directly connected to the joystick, making the Endo-PaC suitable for comparing thumb control with wrist control. The hardware controller is combined with custom-developed software animating surgical pathway scenarios. This virtual environment enables the assessment of the user performances based on criteria such as task completion time, motion smoothness, collisions, and the length of the travelled path. This makes the Endo-PaC highly suitable for comparing different control techniques. Fan, C. (2014). Manual Control for Medical Instruments in Minimally Invasive Surgery. PhD Thesis. Fan, C., Dodou, D., & Breedveld, P. (2013). 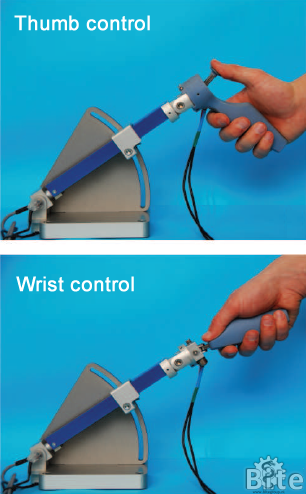 Review of manual control methods for handheld maneuverable instruments. Minimally Invasive Therapy & Allied Technologies, 22(3), 127-135. Fan, C., Clogenson, H., Breedveld, P., van den Dobbelsteen, J. J., & Dankelman, J. (2012). Comparison of two control methods for minimally invasive surgical instruments. Journal of Medical Devices, 6(2), 021005. Fan, C., Dodou, D., Breedveld, P., & Dankelman, J. (2014). Spatial orientation in pathway surgery. Surgical endoscopy, 1-15. Fan, C., Jelínek, F., Dodou, D., & Breedveld, P. (2015). Control devices and steering strategies in pathway surgery. Journal of Surgical Research, 193(2), 543-553.